I have a story to share with you today. I think I was about twenty-four years old. A baby really, but already carrying the responsibilities of being a wife, mom, and pastor’s wife. My life was full, my nights were long… and my budget was short! I sat in the doctor’s office a few weeks before Christmas (and our oldest daughter’s second birthday). It was a generic wellness check-up for our toddler, and I was ready to finish up and get home in time for supper prep. “It’s getting harder every year to buy my grandkids Christmas gifts,” the good doc lamented with a laugh. The lady doctor appeared in the doorway just then and greeted me with a smile. Her attention quickly went to the little girl perched on my knees, and I found myself hearing the doctor’s words replaying in my ears. I just give everyone fifty-dollar gifts cards and let them buy whatever they want. In fact, fifty dollars was the amount of money Jeremy and I budgeted for an entire week of groceries. You can imagine what our Christmas budget looked liked. I honestly don’t remember the dollar amount of our holiday budget that year. But I have never forgotten the conversation in the doctor’s office. It made me realize just how small our finances actually were. Both my husband and I are gift-givers at heart. In fact, one of my top Love Languages is “gifts.” I find a lot of fulfillment in giving generously to people I love. When I can’t give well, it feels like something inside me is stifled and frustrated. Keeping us from going where we wanted to go in life, and chocking out all the pleasant things that “people with money” seem to experience. Money issues are difficult any month of the year. But at the holidays, they’re especially painful. As a young wife and mom, I knew that if gift giving was going to be pleasant instead of stressful then I was going to have to get creative. And I was going to have to get rid of that “noose”… at least, in my own mind. During that lean year (and the lean years that followed), I didn’t buy fifty-dollar gifts. But I did learn how to give generously and get the most bang out of our small budget. And in the process, I learned a lot of other important things too. Things that didn’t really have anything to do with money, but had a lot to do with generosity. Even when the budget limitations where still there, the “noose” was gone. Our lives felt rich and full as we lived with open hearts and hands. And that’s a lifestyle that money will never be able to buy. 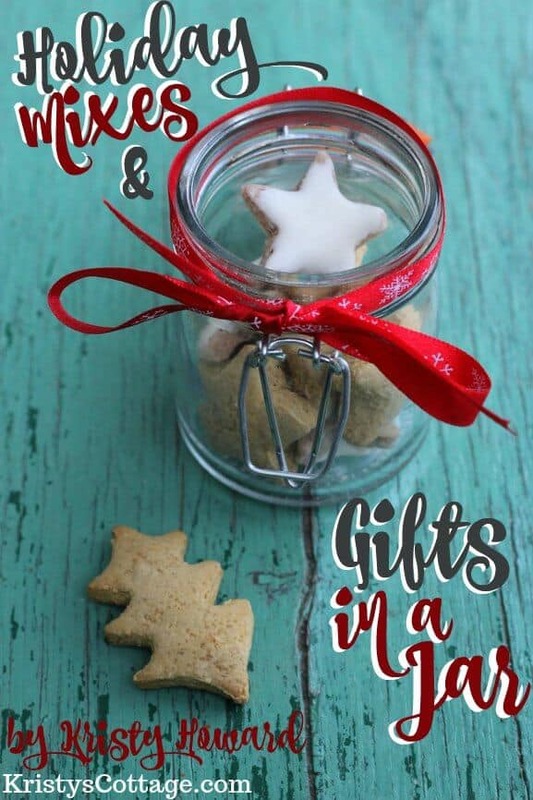 This December, I want to invite you to join me here at the blog for a Frugal & Fab Christmas. I truly believe that a frugal Christmas can be absolutely fabulous. Or if you have no choice but to be frugal, because the money just isn’t there. This topic is really close to my heart for all the reasons that I just shared. And since you’re still reading this post, I’m guessing this topic resonates with you on a personal level too. 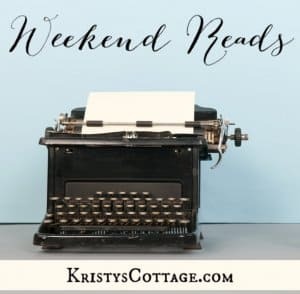 If your holiday overwhelm feels closely related to money issues, I hope you’ll join me for some up close and very real “mentoring” here at the blog. 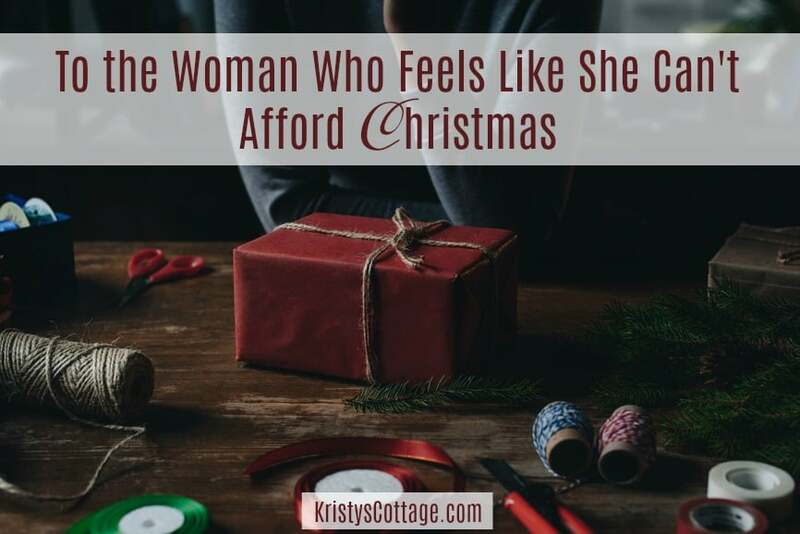 If you’re ready to live and love well with me this Christmas season, please join the Kristy’s Cottage community so we can do this together. 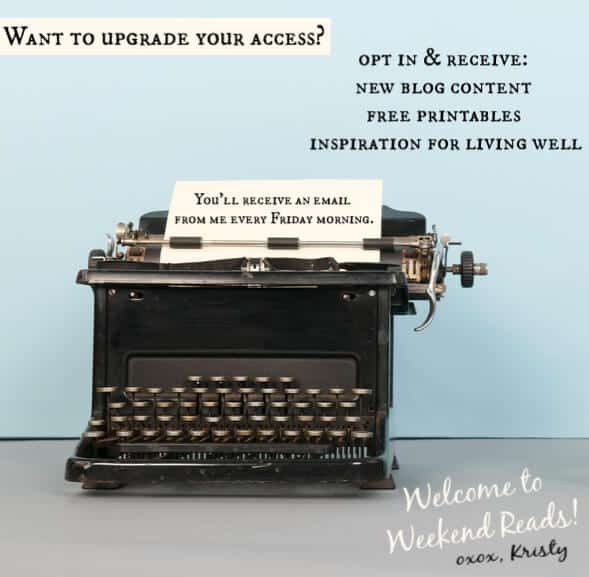 Look for a “welcome” email from me immediately after you subscribe… you’ll be able to download, print, and enjoy your Holiday Mixes & Gifts in a Jar right away. How Many Christmas Gifts Per Child? Here’s Our Family’s Tradition!